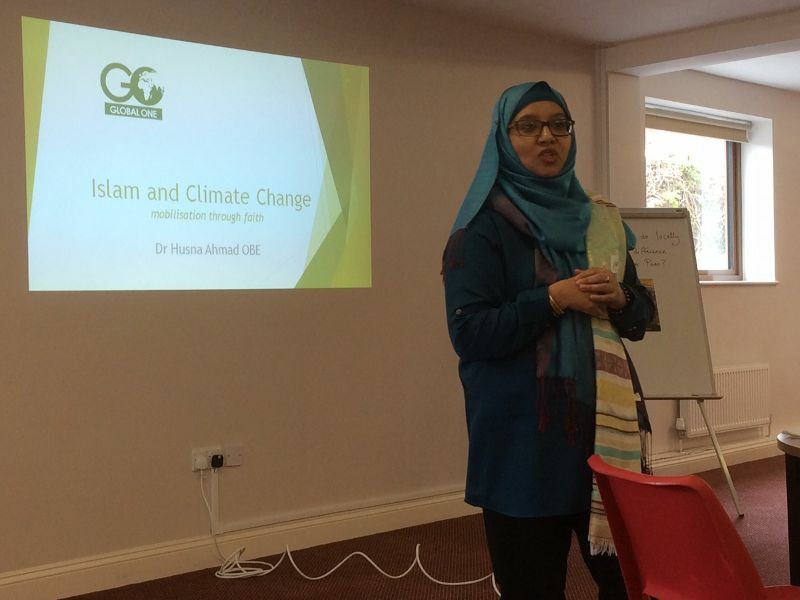 Over 50 people participated in the second ‘Earth Matters, Faith Matters‘ conference which took place at Exeter Mosque on 10th April 2016. Those participating included Buddhists, Christians, Jews, Muslims, Hindus and others. 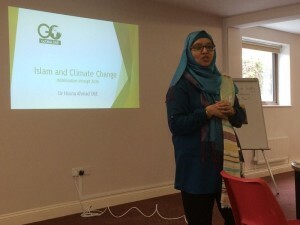 The keynote speaker was Dr. Husna Ahmad, OBE who reported on her international work focused on encouraging Muslims to address climate change in their own countries and communities. 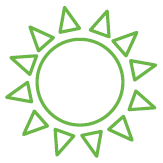 She drew attention to the story of Yusuf (Joseph) and how he prompted (the Egyptian Pharaoh into) longer-term thinking and planning for food security and to build up resilience for times of trouble. This has lessons for farming today which tends to emphasise immediate profit rather the good of the land and future generations. 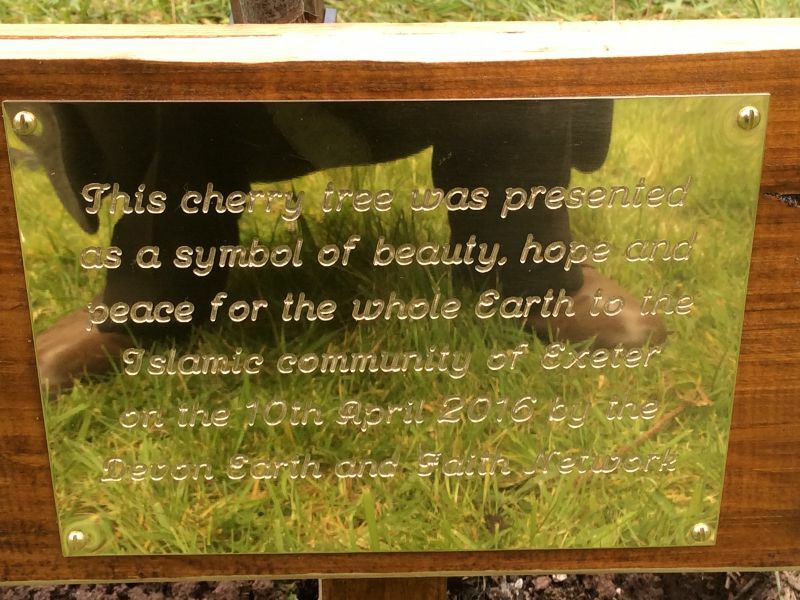 Tony Reese, from Exeter Synagogue spoke on the importance of trees in Judaism, with their own festival and new year, and the importance of caring for trees, recognising all their contributions to life on Earth. 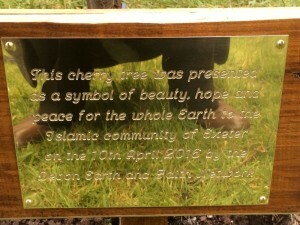 Others referred to local initiatives in planting and caring for trees in Devon, so appropriately those attending the day then planted a cherry tree as a gift to the Muslims of Exeter. Richard Dealler reminded those present of Martin Luther’s famous remark about “were the world to end tomorrow, I would still want to plant a tree today“. 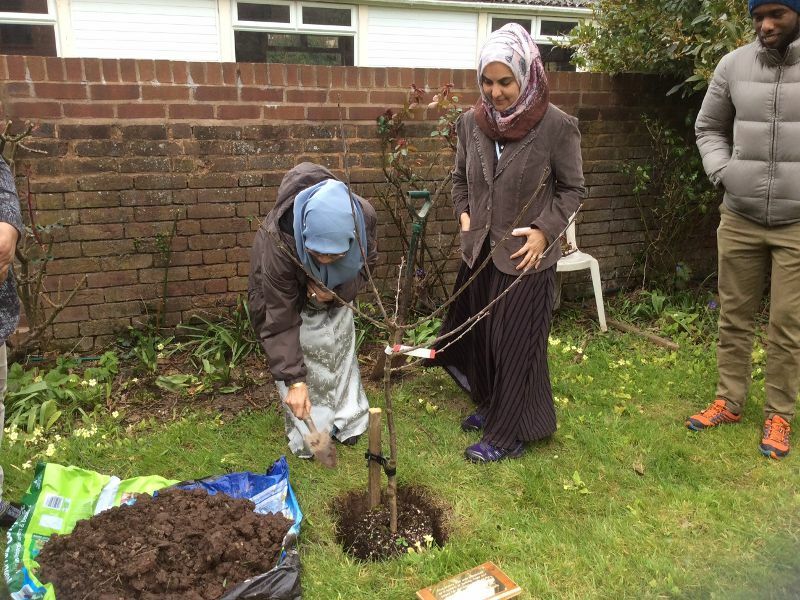 It is hoped further multi faith environment events will be held later in 2016. Exeter Hindu Sandhya Dave hopes to organise a food foray in May, and a Summer Pilgrimage on Dartmoor is also being considered. 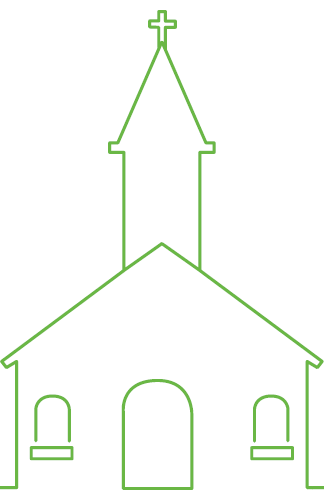 DEFAN is organised through the Devon Faith and Belief Forum and Devon Churches Green Action.